By now, we all know about the wreckage. In January, Lance Armstrong sat down and told Oprah Winfrey, and thereby the world, that he used illegal performance-enhancing substances to win a record seven consecutive Tour de France titles. Now disgraced, Armstrong had lived an elaborate lie for years, having apparently taken ethics classes from Professor Tiger Woods. Even LiveStrong, the cancer research foundation he founded after beating the disease, asked him to step down to avoid infection from public disgust over the scandal. 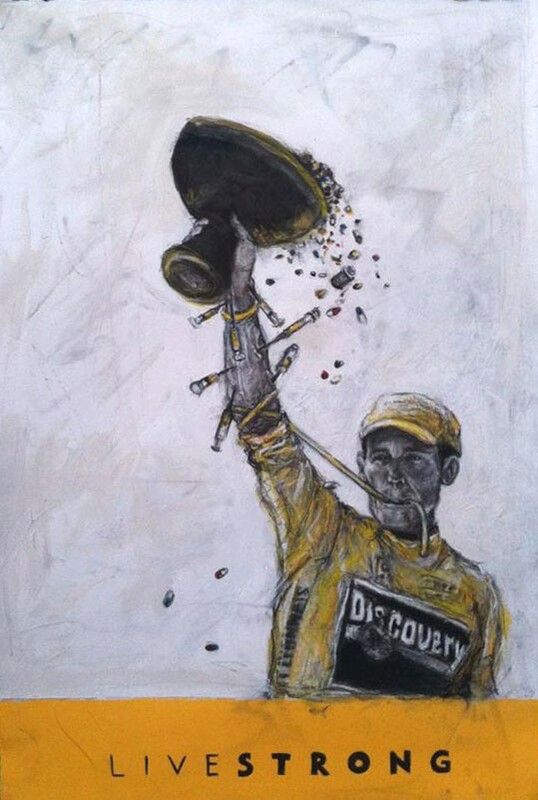 Alberto Contador, Tyler Hamilton, Floyd Landis, Ivan Basso—the list of cyclists who doped goes on and on. But none hurt as much for Sonoma County as Levi Leipheimer. 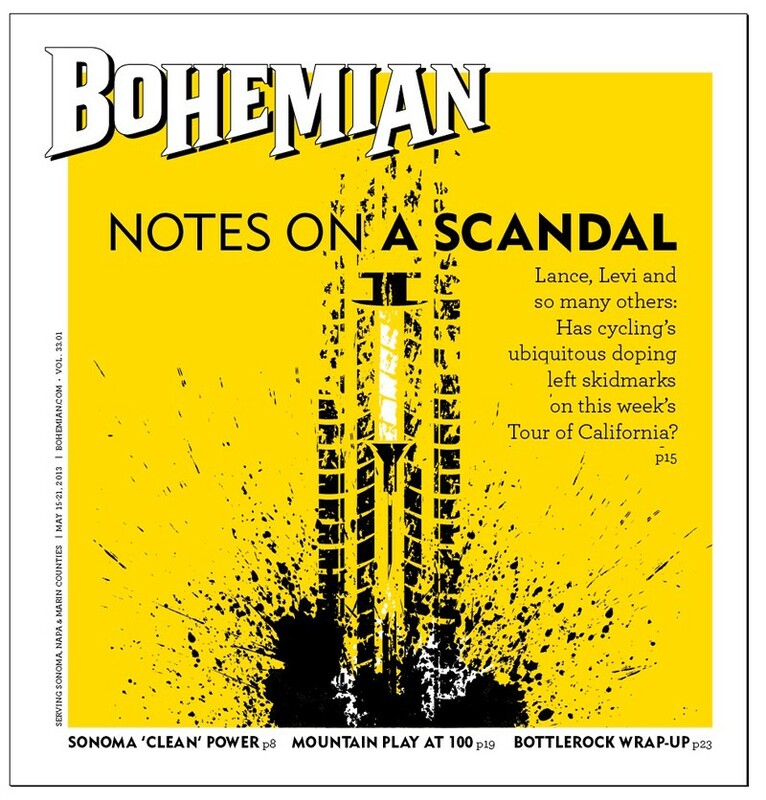 Just before Armstrong's fallout, Santa Rosa's hometown hero also admitted to years of doping—and ratted out Armstrong, his former friend, in exchange for a reduced suspension in the form of a six-month ban. (Meanwhile, Armstrong can never compete again in a professional organized race.) Leipheimer still trains in Sonoma County, taking on the hills and two-lane back roads, and his annual GranFondo ride remains a successful fundraiser—it's raised $60,000 in each of the last two years to keep the Tour of California in Santa Rosa. But he has yet to find a team to take him in. This year, the three-time ToC winner won't be competing in one of cycling's biggest races, which finishes this year in his own front yard. With Santa Rosa hosting the final stage of the race, this could possibly mitigate any decrease in public interest resulting from the doping scandals. On May 19, racers will cross the final finish line downtown, the champion will don the yellow jersey, and thousands of cycling fans will cheer on a nationally televised broadcast, as if the sport hadn't been tarnished by a doping scandal with a trail longer than a vine of hops. At least, that's what race organizers are predicting. "People who love bicycle racing are always going to love bicycle racing," says Chris Coursey, a volunteer with the ToC organizing committee. "They may have anger or disappointment over revelations from the last few years, but the sport is still there. It's still one guy riding 120 miles in almost 100-degree temperature." Casual fans who might be turned off by steroid scandals still appreciate a good show, and "that's what we do well here in Santa Rosa," says Coursey. But another loss for the casual fan are all the big names. Leipheimer's six-month ban is over, but he hasn't found a team. Minus even more stars barred from riding, or without a team—and minus Chris Horner, who's treating a knee injury—many major household names aren't riding in this year's ToC. Will it affect attendance? Already, there are fewer official team afterparties planned than in past years, but still, many cyclists seem eager to watch the grand finish. "Did Barry Bonds doping mean you stopped caring about baseball?" 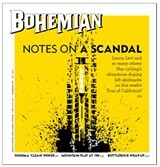 asks Blake Godwin, a diehard cyclist raised in Santa Rosa. "People dope in every sport, but in that era of cycling, everybody did. I'm not making excuses, but that does change the framing." "If you use supplemented oxygen, cocaine and Diamox to get to the top of Everest, no one would ever say you didn't climb Everest," says Santa Rosa cyclist Marcos Ramirez. "These are amazing athletes, and I'm proud to have bicycle culture be so alive and well in Sonoma County. So the style and politics of racing will change. This is good." Coursey is optimistic as well. "Levi wasn't the first person to promote bicycling in Sonoma County," he says, "and he won't be the last."